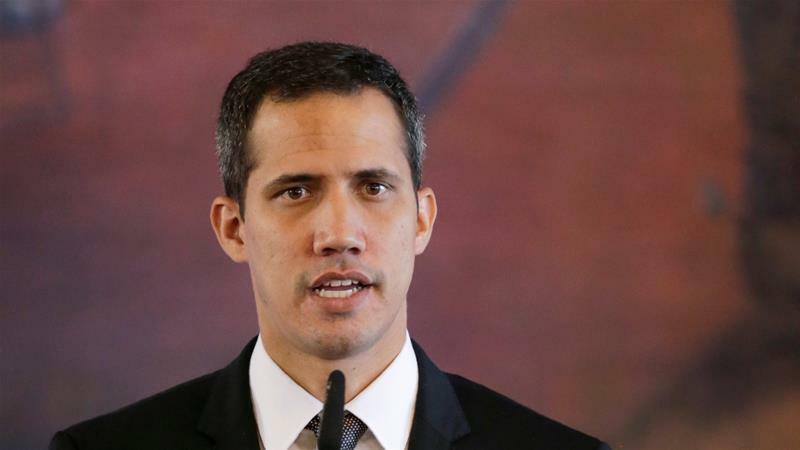 CARACAS, April 1 (Xinhua) -- Venezuela's Supreme Court of Justice (TSJ) President Maikel Moreno on Monday reconfirmed the order to prohibit opposition leader Juan Guaido from leaving the country and asked the National Constituent Assembly (ANC) to strip him of his parliamentary immunity. Moreno said a "certified copy of the decision will be sent to the ANC for the purpose of stripping Juan Guaido's parliamentary immunity." The decision was made as the opposition leader, who self-proclaimed himself "interim president" on Jan. 23, violated the measure imposed by the TSJ a few months ago. Venezuela's TSJ has barred Guaido from leaving the country and froze his financial assets in January.